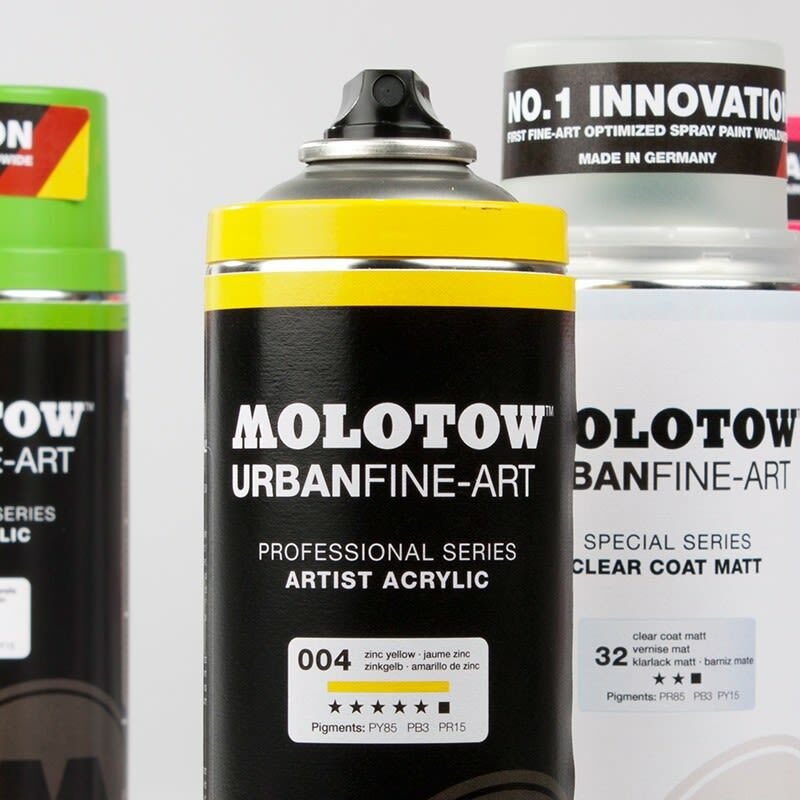 Combining genuine artist-grade pigments with innovative, anti-drip, Flowmaster Vari-Valve technology, Molotow Urban Fine-Art Artist Acrylic Spray Paint is the world's first fine-art-optimized creative spray range. Permanent, lightfast, and UV-resistant, it is made in Germany in a brilliant palette of 48 colours. The Flowmaster Vari-Valve guarantees controlled output and extra-smooth handling, even for inexperienced users. Resistant to dripping and excessive spray dust, the Flowmaster also allows for stroke widths ranging from 4 mm to 200 mm with one single spray cap.